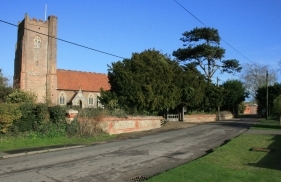 A medium size village located about 1.5 miles to the west of Frinton On Sea and surrounded by farmland. The areas to the south east of the village adjoin the coastline and are protected from development under the coastal protection policy. Within the village there is a general stores / sub post office, public house, a wildlife reserve and beyond the church there is footpath access to both the coastline and Frinton On Sea. The railway station at Kirby Cross is within walking distance of some part s of the village.